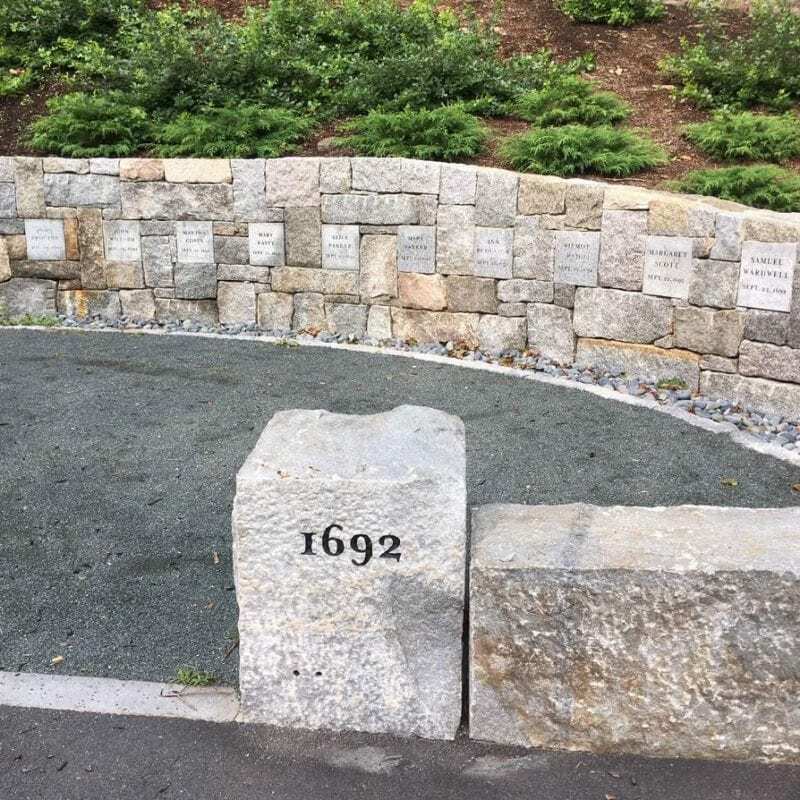 For many years it was believed that the nineteen innocent people who were executed in Salem in 1692 were hanged at the summit of Gallows Hill, on the edge of town to the west. The exact site was not memorialized; after all, this was a shameful event that Salem residents wanted to leave in the past. Maps of 1700 Salem show “Gallows Hill” but no marker for the execution site. In 1921, local historian Sidney Perley believed he had located the spot of the executions, near the base of the hill on Proctor’s Ledge. 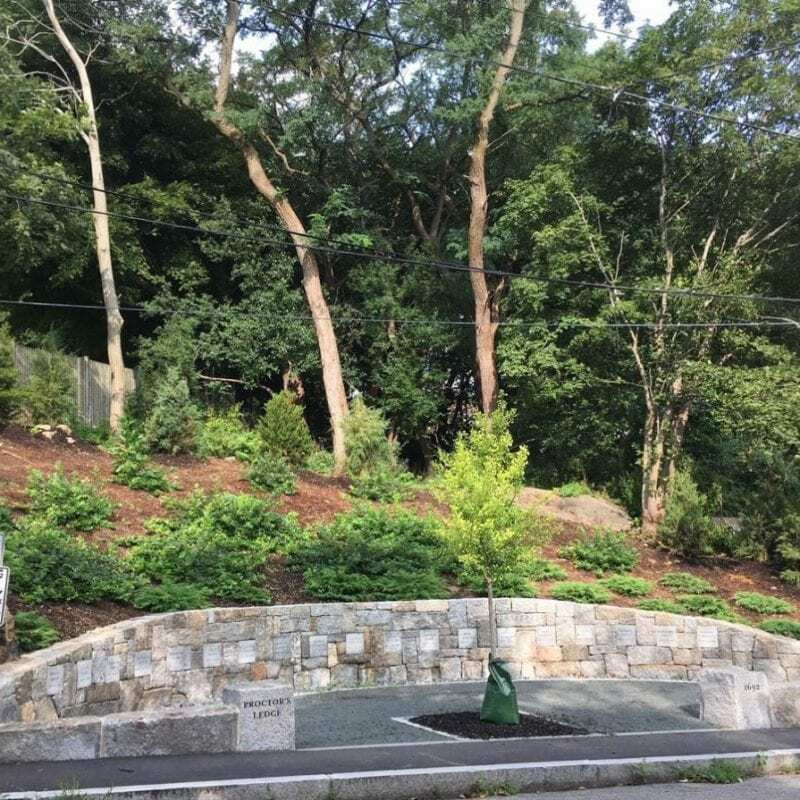 His conclusion led the City of Salem to purchase part of Proctor’s Ledge in 1936, calling it “Witch Memorial Land.” No memorial was built, however, and until 2016, most people still believed the executions took place at the summit. A team of researchers began to reconsider all of the evidence in 2010, and eventually concluded that Perley was right. The real execution spot was confirmed as Proctor’s Ledge in January of 2016. Part of the evidence included 1692 eyewitness accounts of nearby neighbors, who were able to see the hangings from their homes. 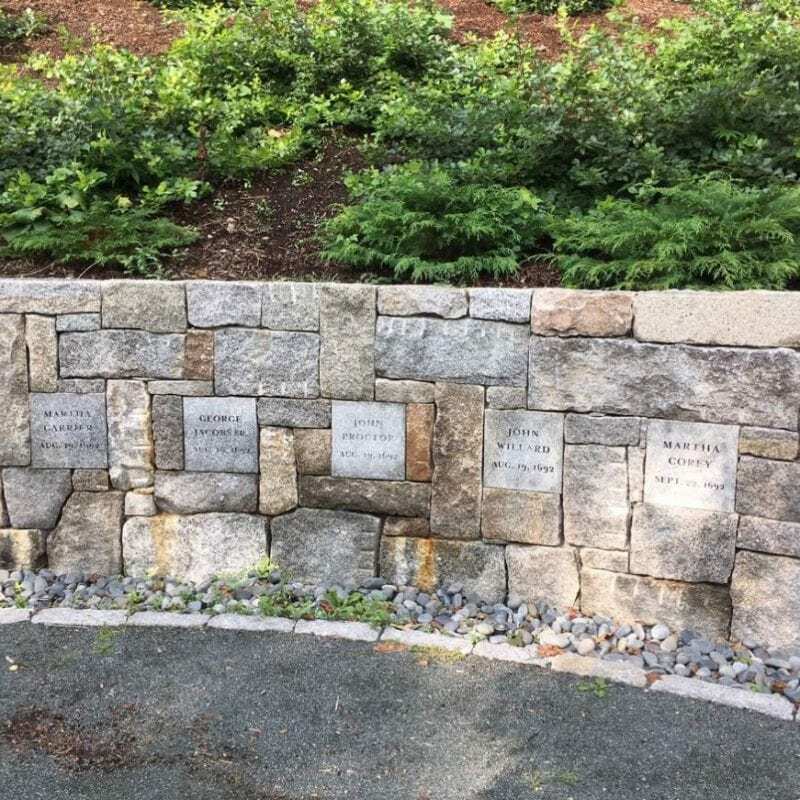 A simple memorial, designed by landscape architect Martha Lyon, was dedicated on July 19, 2017, the 325th anniversary of the hangings of Sarah Good, Elizabeth Howe, Susannah Martin, Rebecca Nurse, and Sarah Wildes. Embedded in the semi-circular wall are stones engraved with the names of the nineteen victims. It is unclear when the name Proctor’s Ledge came into existence. 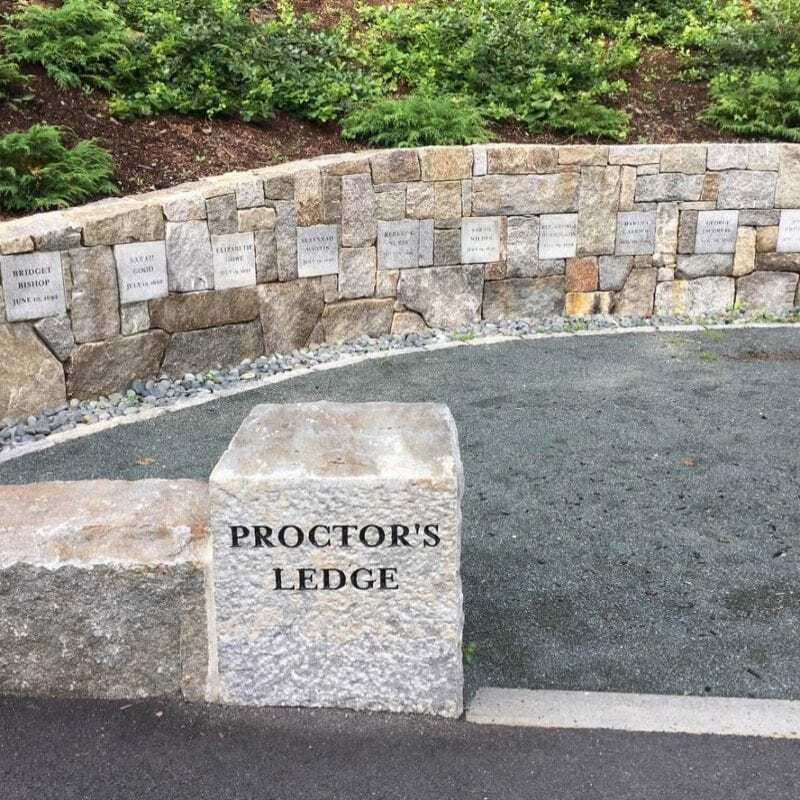 The area was apparently owned by Proctors at one time, though is not directly connected to John Proctor who was executed here on August 19. Additional note: The intersection of Boston and Proctor Streets, just a short distance from Proctor’s Ledge, was the location of the Korn Leather Company in 1914. On June 25, a chemical fire began here which burned for 13 hours, sweeping through Salem and destroying nearly 1400 buildings, rendering 18,000 homeless or jobless. It is a devilish intersection. The memorial is located in a residential neighborhood. 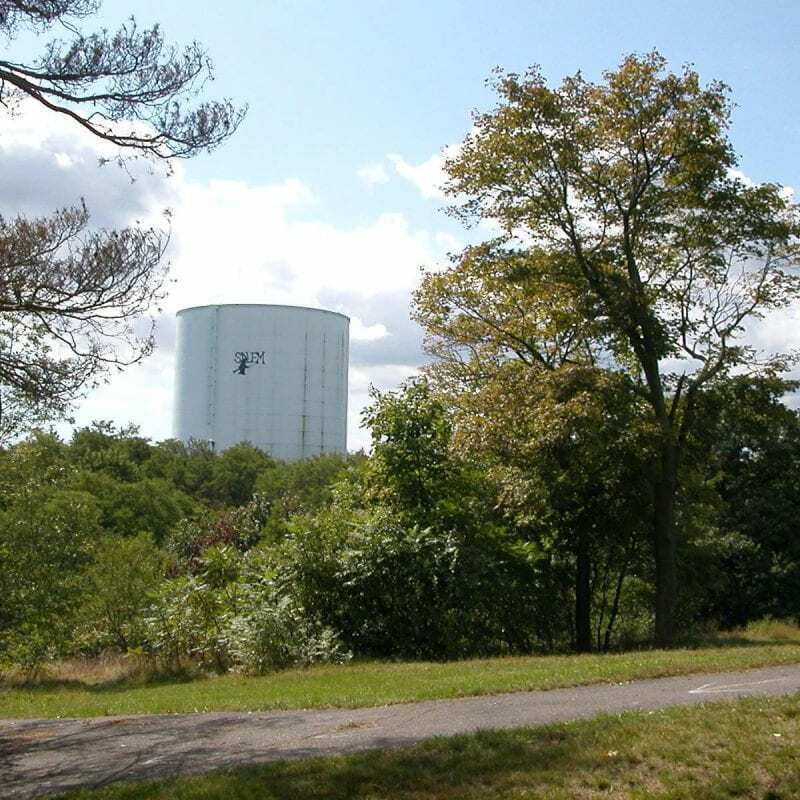 There is no parking, so visitors are advised to park at Gallows Hill Park and walk down the hill to the site. At the summit of Gallows Hill, August 2008. It is now known that this was not the site of the 1692 executions. © 2019 Copyright Salem Witch Museum. Website designed and developed by Sperling Interactive.